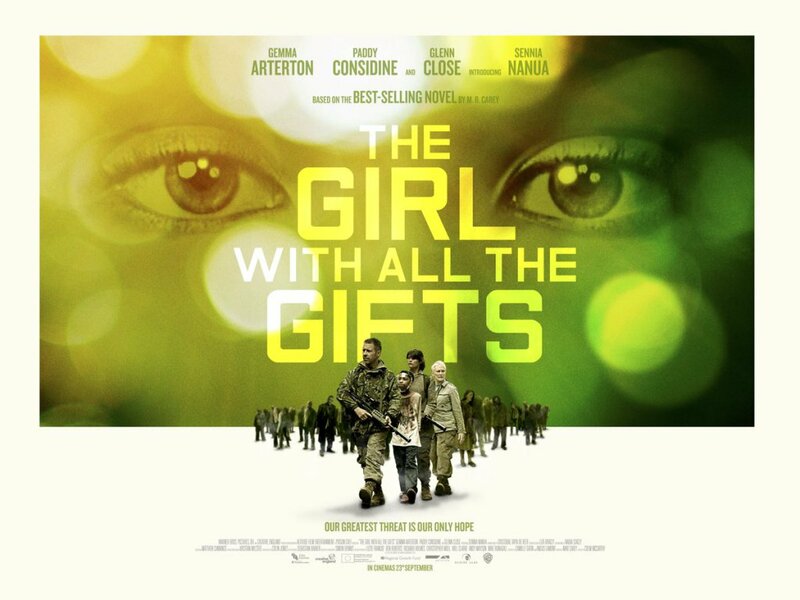 The Girl with All the Gifts is a 2016 British post-apocalyptic zombie horror drama film directed by Colm McCarthy and written by M.R. Carey adapted from his novel of the same name. Starring Gemma Arterton, Paddy Considine, Glenn Close, and Sennia Nanua, the plot depicts a dystopian future following a breakdown of society after most of humanity is wiped out by a fungal infection and focuses upon the struggle of a scientist, a teacher and two soldiers who embark on a journey of survival with a special young girl named Melanie. Please update link, not found..